Polyurethane is a polymer coatings for wood that can be can be water or oil based. Each of these has their advantages. This is a little more costly than oil based, and somewhat thinner. It hardly affects the colour of the wood it coats, so you keep the natural appearance. One advantage is that the water based solution dries in two hours, making it possible to apply 4 or 5 coats in a single day. The downside is that this thinner water polyurethane will need these multiple coats. These finishes have more polyurethane in them, so they only require 2 or 3 coats. Unfortunately they require drying overnight, meaning that it takes several days to finish a wood project. They also darken the colour of the wood, though many consider this an advantage. Many floors are now made from wood that is already prefinished. But if the floor is sanded after a decade of use it may be re-coated with a different finish. 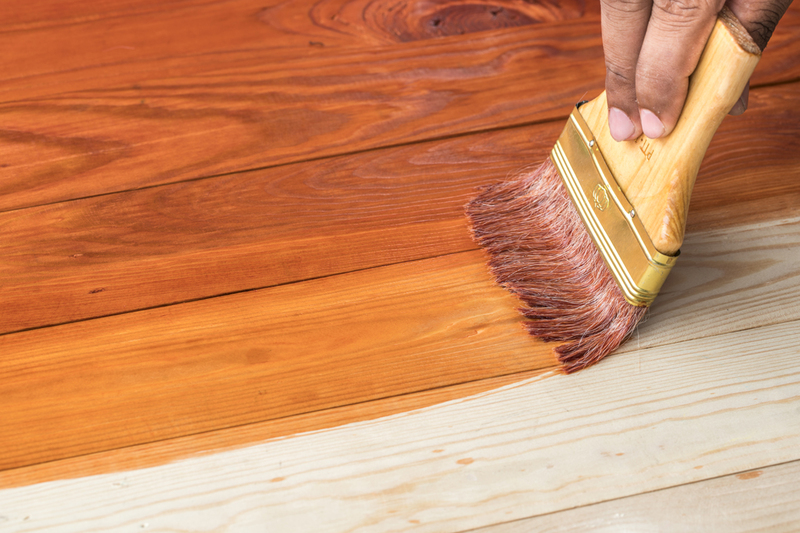 Different polyurethane coatings can preserve the present natural look of your floor, or give it a richer darker colour.